Britain is ramping up support for Kurdish forces fighting IS militants in Northern Iraq by considering supplying them with arms. The move follows a steady increase in UK involvement, including sending SAS soldiers and surveillance craft to the region. “We will also continue our work to ensure that Kurdish forces have the military supplies they require, including transporting more equipment from Eastern Europe,” a Downing Street spokesperson said. “In the longer term, it is vital that Iraqi and Kurdish forces are able to stop the advance of ISIL [now IS] terrorists across the country,” the spokesperson said on Thursday. The UK pledged its support for Iraq’s new Prime Minister Haider al-Abadi, who was tasked with swiftly establishing an inclusive Iraqi government after former PM Nouri al-Maliki bowed down to pressure to resign. 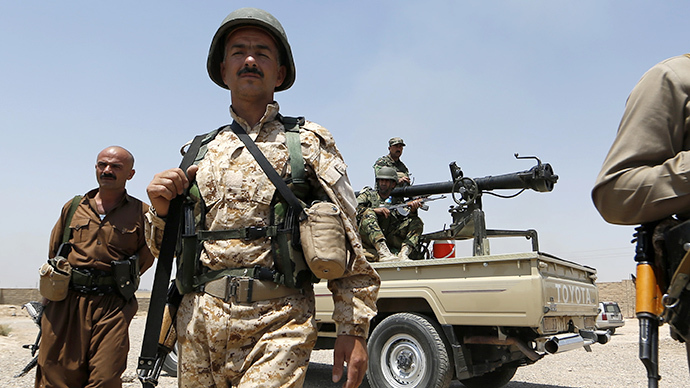 Kurdish Peshmerga forces are fighting Islamic State (IS) militants, formerly known as ISIS or ISIL (Islamic State of Iraq and the Levant), who have seized large parts of northern Iraq. 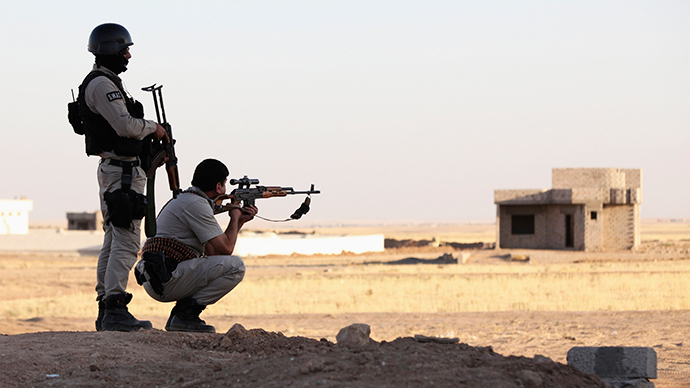 France and the United States have already begun to supply weapons to the Kurds. The issue of supplying Kurdish forces with arms will be discussed at an emergency meeting on Iraq of EU foreign ministers in Brussels on Friday, which UK Foreign Secretary Philip Hammond will attend. Hammond will use the meeting of foreign ministers from across Europe “to press for better co-ordination of aid and military supplies to Iraq,” the spokesperson said. Prime Minister David Cameron spoke to German Chancellor Merkel on Thursday, where they agreed on the need to coordinate efforts on the humanitarian front, especially in the Dahuk refugee camp and nearby camps in northern Iraq. They also discussed the need for wider international coordination to tackle the threat posed by IS, not just in Iraq, but elsewhere in the region. A US Special Forces team carried out an assessment on Mount Sinjar on Wednesday and found that the number of people still on the mountainside was now in the low thousands, far fewer than previously expected. 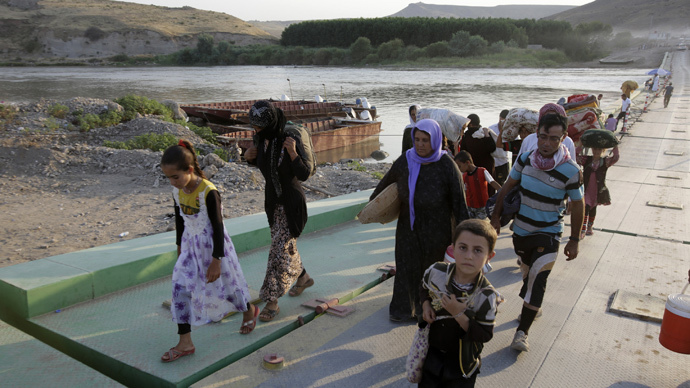 Kurdish forces are helping around 1,000 people to get off the mountain to safety every night. The government confirmed that this view had been reinforced by images captured by UK Tornado jets, which flew a surveillance mission over the mountain Wednesday night. Britain will keep Chinook helicopters in the region to “have the flexibility to help the most vulnerable if the need arises,” and the Tornado jets will also stay there in case further surveillance of the area is needed. The need for humanitarian support across northern Iraq remains acute, according to the government, with around 850,000 people displaced from their homes and a number of towns dealing with a massive influx of refugees. 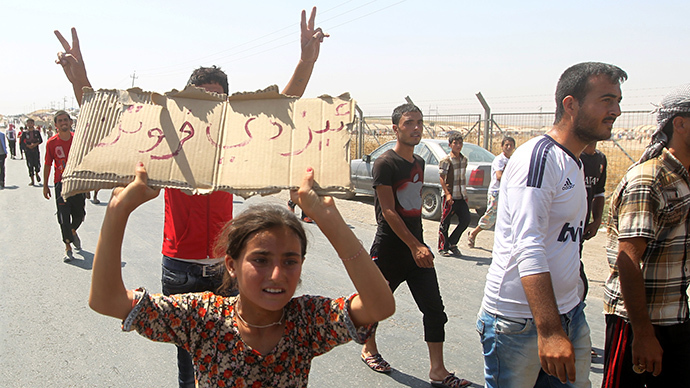 The UK has sent a humanitarian adviser to assess the refugee camp at Dahuk. On Thursday, the UK announced it would support aid agencies at the Newroz refugee camp in northeastern Syria, which currently houses 12,000 displaced Yazidis. Britain has completed several rounds of aid air drops to northern Iraq, providing the refugees on Mount Sinjar with clean water and shelter kits. Downing Street repeatedly insisted that the humanitarian situation in northern Iraq remains the government’s priority. “While the situation on Mount Sinjar is better than we had feared, and a rescue mission now looks far less likely, we will continue to monitor this situation closely with our US partners and Kurdish forces,” the spokesperson added. 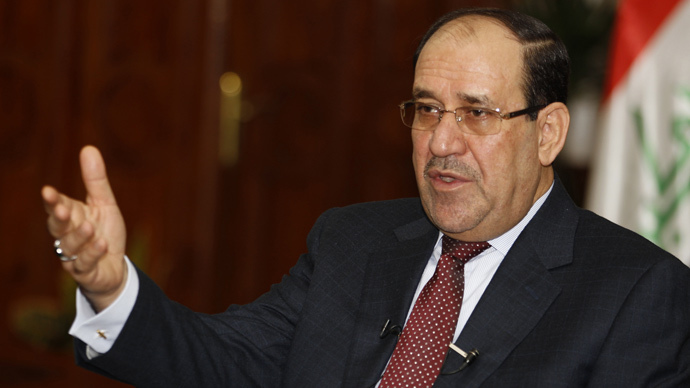 Meanwhile, Iraq’s Nouri al-Maliki announced his resignation as Prime Minister in a speech on state television. He said he supported his nominated replacement Shiite Dr. Haider al-Abadi. The Foreign Secretary added, “Iraq must see a smooth transition of power, and I hope this decision will contribute to the quick formation of a unified and inclusive government that can address the serious security, humanitarian and political challenges that Iraq faces." Maliki's decision came as US president Barack Obama announced US warplanes had broken the siege of Mount Sinjar, allowing thousands of civilians, most of whom were from the minority Yazidi sect, to flee to safety.